Ballsbridge Brew to Costa Fortune? 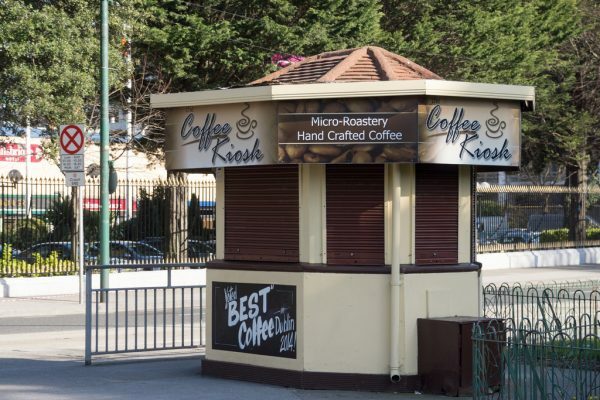 With the recent news that the famous coffee kiosk in Ballsbridge has sold for a massive €330,000, we ask just how much jitter juice the new owners will have to sell to recoup their enormous investment. Now while the sum involved may be enough to buy a small semi-D in Batterstown, or add a small conservatory to your villa in Booterstown, for the purchasers, Starbucks, we’re talking chump change. With the average cup of joe in Ireland costing €3, 110,000 coffees will have to be sold to breakeven, but of course it’s not all profit to be creamed off the top. Staffing costs? Well inside the kiosk is probably only big enough to hold a small child, so they should be negligible. And as rent will be zero, the only expenses we can think of will be bin charges, rates and tax, payable to old Mr. Revenue. Not a bad investment on the face of it. And spare a thought for the seller, who bought the bijou box for €235,000 just two short years ago. No doubt they are celebrating somewhere with a nice hot brew.